If you are interested in getting some of the best experiences with a flower shop in Makati, you should strongly consider the idea of going to a flower shop in your local area that offers reasonable prices and fresh flowers. Local flower shops can often be a great way to get access to the best blooms that are in season as well as make sure that the flowers you are picking up will be cared for by professionals. 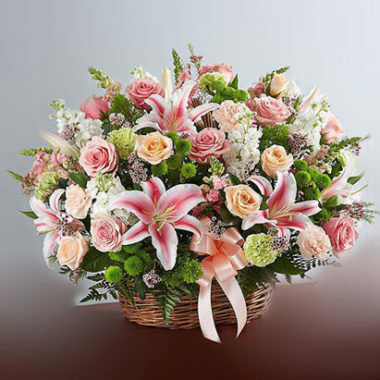 Having a flower shop that is closer to where you are going to be taking the flowers can help to make sure that the flowers can live over a longer period and enjoy a more beautiful lifespan. What is a flower shop? A flower shop in your local area differs greatly from ordering flower delivery from a major retailer or online delivery service. The nicer about using a local flower shop is that you can get blooms that can be custom arranged or even work with a local business that has experience with creating a wide range of arrangements throughout Makati. A flower shop can specialize in producing more than just bouquets as well. Many flower shops may spend time with the creation of building complex arrangements, creating dried flower selections and even the option of offering gifts as well. If you like the idea of a flower shop in Makati letting you add on a series of fun selections like cards, gifts and more it’s a good idea to consider going to a flower shop in this area that features some of these add-ons. A flower shop usually contains all the decor elements that are needed to build complex bouquets. They also have temperature-controlled storage which can ensure that the blooms can stay fresh for longer. By keeping all the flowers in conditions that are suited to their climate needs, a local flower shop can help to make sure that the flowers that you get can offer an excellent lifespan wherever they are placed. Why it’s worth it to buy fresh flowers from a store in Makati? Many people associate the idea of a florist with an added expense. While some flowers like long stem roses can often be quite expensive to pick up, there’s a variety of bouquets that you can often pick up priced very reasonably. By choosing some flowers that can be less expensive than some of the more common romantic flowers, you can pick out an excellent bouquet that can freshen your home for less. So many people end up waiting for a friend or loved one to buy them flowers on a special occasion. By going to a local florist, you can make sure that you can get access to a wide range of flowers that you can enjoy. Rather than having to wait for the holidays or for someone to give you flowers, you can treat yourself and have flowers that you can enjoy anytime. With the right care and the right selection of flowers, you could have some amazing bouquets that can live beyond a week or more. Having flowers inside your home to care for can help your home feel much more alive. Some of the top varieties from professional florists can even be produced and arranged in planter baskets the last and grow with regular care! Even if you do have flowers that start to die out over a week, you could consider repurposing them to enjoy the chance at drying them out for some decorative flowers. If you get a nice vase, any type of flower bouquet can become portable to brighten up almost any room inside your home. If you are looking for a great way to you can add some color into a room or even add some new life into your décor, this can be a wonderful way that you can brighten up almost any room with the help of some fresh blooms. Visiting a local flower shop in Makati could be a fantastic way that you could enhance your interior decor and get access to some beautiful living art. For a reasonable price tag, you could have a full bouquet of beautiful flowers to greet you every morning and enhance the smell of your home too! How to choose the best yet affordable flower shop in Makati? If you are looking for a florist in Makati, there are several elements that you can look towards in order to get a great price when it comes to your flowers. There are many choices of florists available across Makati and it isn’t always easy to determine which one should be the best option for your needs. Working with a flower shop that offers selection can help to make sure you can have plenty of options when you are building your arrangements. Some flower shops may only have some of the traditional flowers available on hand and this good make sure that your arrangement start to get expensive. A flower shop that offers versatile items can have you mixing and matching the best types of flowers that you can pick up as well as some of the top ways that you can cut down on the overall cost of your bouquets. Doing business with a flower shop that’s close to your home or the area where you’re taking the bouquet can also be important. If you’re exposing the flowers to an outside environment that’s different from what they’re used to being in, this can often compromise their lifespan. Having a local florist that can cut down on the total amount of time that the flowers are exposed to the elements will be very important. Flower shops that come with years of experience can often represent a group of individuals who can deliver some of the best longevity out of their products. Making sure that you are working with a flower shop that can really care for your blooms can be especially important. Flower shops that are willing to create custom bouquets and help you to arrange the bouquets that you create can be very helpful. Working with a team that can offer custom work with a bouquet can make sure that you end up with a product that you want and something that will serve as an excellent gift for someone else as well. 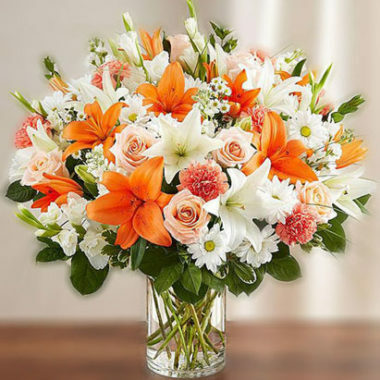 Through connections in the industry, a flower shop will likely be able to offer you some excellent prices for the area. Working with a flower shop that offers some great prices or value alongside the bouquets that they sell can help you to regularly cut down on costs and get the same quality flowers at a fraction of the price. These are just a few of the top elements that you should consider when you are looking for a florist that can deliver affordability and excellence with the flowers that they are offering to customers. Why choose Raphael’s Flowers and Gifts Shop in Makati? From a strategic spot in Makati, the company can deliver to Metro Manila as well as the surrounding provincial areas with quick delivery systems. They also offer shipping for many of their gift purchases to a worldwide audience. With a wide selection of wines, cakes, balloons, chocolates, stuffed toys and more the range of gifts ensures that even if you’re coming in for a flower bouquet, you can add-on a few amazing gift purchases if you wanted to expand the capabilities of your gift. The company prides itself on offering an excellent level of customer service. Whether you need custom solutions for a funeral, holiday, birthday, anniversary, special occasion or a wedding the company can help with the process of building the ideal selection of gifts for your needs. They’re more than willing to create flexible bouquet arrangements that can cut down on costs and they can help you get an ideal look for your home. There are always ready-made arrangements within their store. If you just need to pick up something quickly, there are a wide range of flowers for birthdays, anniversaries, sympathies and more. The company prides itself on being able to create versatile bouquets and simple solutions that can be delivered across the greater provincial areas. With a strategic location inside the Ayala Mall, Raphael’s is also a great place if you are just picking up a selection of flowers and driving them to a loved one’s house. Although the process of ordering delivery on your flowers is quite simple, sometimes it’s much more fun to deliver them in person. With a convenient location in the mall, Raphael’s ensures that you can get your flowers to where they need to go without compromising their lifespan. The online shopping that’s available on Rafael’s also makes the process of ordering, simpler than ever. The gift shop as a reliable online shopping catalog with all their gifts and a chance for you to create custom bouquets. The process of customizing your order is easy and then you can quite easily add several other gifts into your order for fast and secure shipping throughout the nation or worldwide. The experience that this company has shown as well. Many of their florists got started in larger stores and the Raphael’s experience feels like much more of a custom flower ordering experience. Rather than having a larger floral shop that’s run by many people, this is a small team that runs like a family. The head florists here have over 20 years of experience and this makes the group some of the best in the industry by far. With a variety of excellent products and quick help with picking out bouquets, the store is an amazing place to order flowers, customize items and more for any type of gift giving. If you are thinking about finding a local florist so that you can order some new arrangements or pick out something for yourself, there are many options to choose from in the Philippines. Working with a company that has plenty of experience and items to offer with their floral arrangements and gifts can often lead to a better experience for getting a better quality of product. If you want to experience Raphael’s for yourself, you should head to their location in Makati and see the types of gifts that you can pick out. 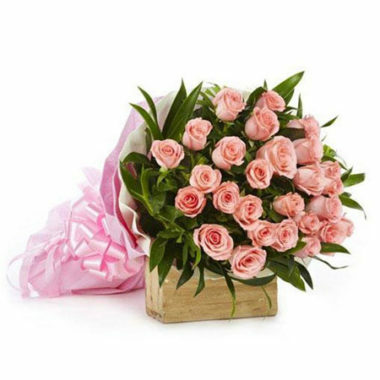 With a wide range of experiences and a simple online ordering system, you may find the best local florist here.